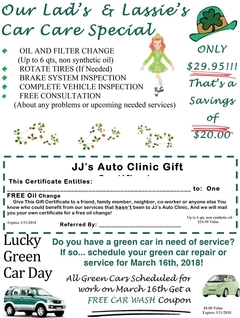 Do you have a green car in need of a service? 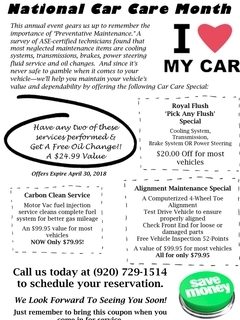 If so... schedule your green car repair or service for March 16th, 2018! 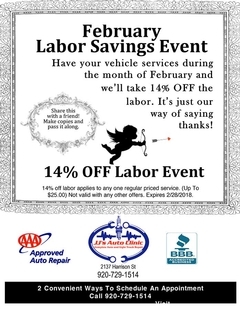 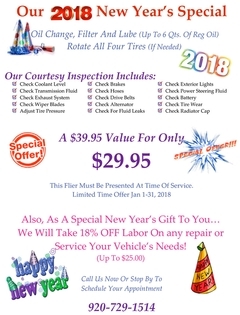 Have your vehicle services during the month of February and we’ll take 14% OFF the labor. 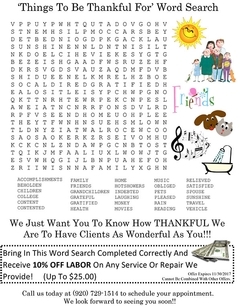 It’s just our way of saying thanks! 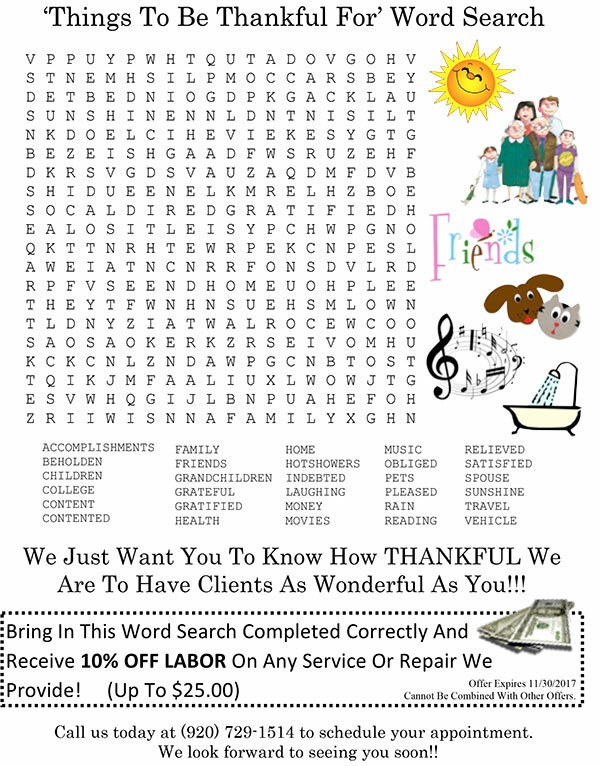 We just want you to know how THANKFUL we are to have clients as wonderful as you!